Throughout the last few weeks, YoungBoy Never Broke Again has been steadily flooding the streets. We were only introduced to him recently but he's proven to be one of the most consistent and talented young artists in the game right now. At only 18-years-old, YoungBoy still has so much room for improvement, which is insane to even think about considering how polished he already sounds. 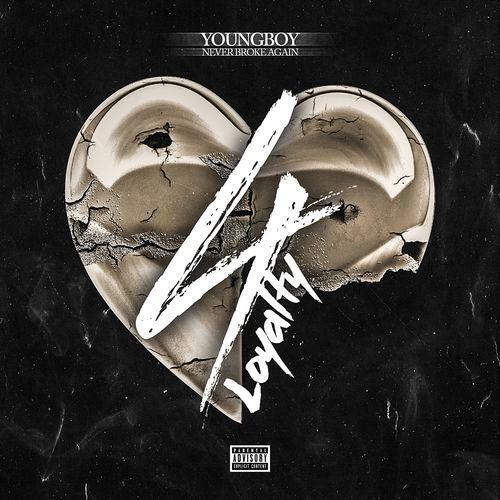 After announcing he would be dropping eleven new tracks as part of his Decided project this week, YoungBoy came with the pump fake and dropped the third installment in his recent EP series, 4Loyalty. Much like the first section with Kevin Gates, 4Loyalty puts Quando Rondo in the spotlight on three out of the four songs. Of course, people will be gravitating towards the Young Thug feature on "Permanent Scar" but every single song on this joint brings a different flavor than the last. The young Baton Rouge native did indeed leave a permanent scar on the game through his hard work and if he continues to drop top-notch projects like he has this year, we could be looking at the rise of one of rap's future superstars. Decided hasn't been nixed as far as we know so we should be getting even more new NBA music soon. Of the new batch, which track is your favorite?